As I read “Wisdom and Declarations” written by my good friend Caleb Galaraga, it reminded me of the good people who have encouraged me & spoke powerful declarations in my life that helped me become a better person. However, it also reminded me of the devastating words said to me that had a negative impact in my life as well as the things that I’ve said that brought more damage than encouragement. The bible says that the tongue has the power of life and death. In his book, Caleb encourages us to live a life committed to choose to speak life. It means speaking words that build people up, intentionally encouraging others, and choosing your words wisely, no matter what situation or circumstance we are in. I remember those times when I was sleepless, pressured, and frustrated while running the university week activities with the student council officers and volunteers. At the main hall, I vented my anger on someone in public with a scandalous yelling and reprimand. That forever changed my relationship with a fellow student and officer at the student council. A great wall was created in defense to me. I have repented and apologized so many times, I tried to restore the friendship and working relationship that affected me and the entire student organization I was in. There was no excuse for my behavior. What has been said cannot be taken back. About a year ago, my friends and I attended a wedding. One of my friends who went to that event at that time was an atheist. There was a time in the event wherein we had the opportunity to hang out with a pastor along with his wife, during the hangout conversation, the hurting experiences he had in the past from church leaders resurfaced. It was a powerful moment when the pastor listened to him and sincerely apologized in behalf of the leaders. We all felt that forgiveness has been release, healing and restoration took place. After that I have never heard him utter words of hate or anger towards the church. ( as far as I know) Our ability to humbly ask for forgiveness brings people whom we have hurt to the healing and restoration process. To most of us who have uttered damaging and not so encouraging words, when we learn our mistakes, it is never enough to hold our tongues and say we will never do it again. I like what Caleb said in his e-book, “choose to commit to a life that speaks life, regardless who we speak to, regardless of their past and their mistakes, regardless of circumstances and situations”. The words we speak brings good or bad results. I highly recommend the e-book to everyone and also for group study and discussions. 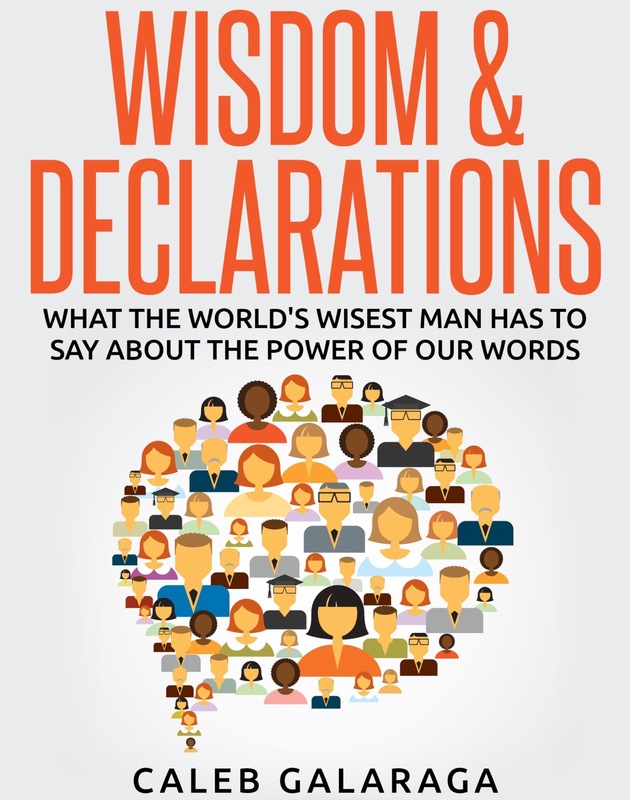 Caleb’s e-book “Wisdom and Declaration” is free for download, click the link below and it will direct you to the download site. MIGHTY MEN in Preteens Ministry! 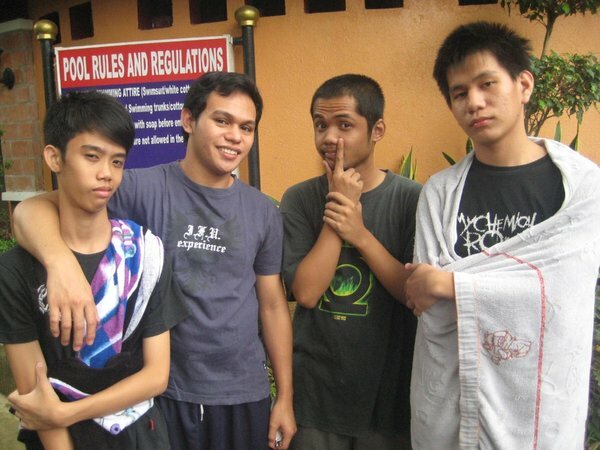 I met Rhodz in 2008, he was a student back then and an active volunteer in his campus, as he accepted Jesus Christ in his life that year, he was filled with joy and was present in almost every youth service during Fridays and was very active in the ushering ministry and was willing to get know more Jesus through discipleship. Here’s a picture of him third from the left. Along the way in his active life, he felt confronted by feelings of rejection and offense. He then slowly withdraw from his spiritual family. Eventually he was back to the things he turned his back, He tried to find acceptance in other ways. Living his life the way he wants it, filling his desires with what he taught was best. After 2 years, while he was was out of town with his friends , he found himself asking with what he has been doing in his life, living on regrets and guilt, realizing the things that he has been doing, has been robbing him of the joy he found only in Christ. A friend from church wanted simply talk him and share the vision for the campus. At first he felt hesitant, but went on meeting with the friend. As the conversation went on, He remembered the time he accepted Jesus and and the great joy it brought him, realizing that God never left him but has been very faithful in his life, being blessed with a job and a recent promotion. Experiencing God’s goodness despite turning his back on Him, changed his heart, he started reading his bible once again and went back to Jesus Christ. Remembering his promises in the Bible. “if any man be in Christ, he is a new creature: old things are passed away; behold, all things are become new”. Rhodz has not only renewed his commitment to his relationship with Jesus, in his commitment to protect this relationship he humbly opened his life and secured Godly men to be his accountable partners to counsel and pray for him, making time every week to learn more about God’s word through small group. 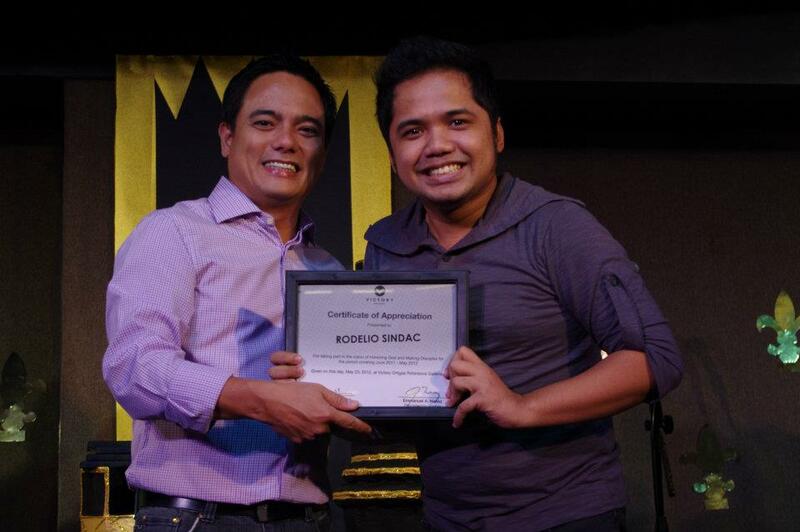 Now Rhodz is passionately reaching out to the youth and influencing them to honor God through dancing. He is actively involved in training next generation that will impact our country. We need Godly men and women in our life that will continually push us to seek and pray to God, tells us the truth about us even when it hurts and builds us up to live that Godly life, pointing us to Jesus Christ. Have we identified this Godly people in our life? or Do we have them?